While Vancouver isn’t the same cycling utopia as Portland; bit by bit, the area is striving to embrace two-wheeled transportation. Those efforts just got a head nod from the Active Living Research (ALR), an organization that promotes walking and biking as means to fight childhood obesity. 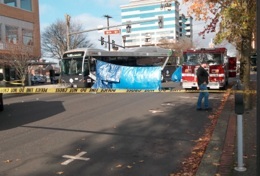 An “elderly woman” was struck and killed by a C-TRAN bus today while walking across the street in downtown Vancouver. The collision occurred a few blocks from the bike route across the I-5 Bridge, according to witnesses. 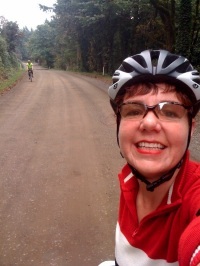 In many ways, Portland resident Maria Schur epitomizes the die-hard Portland bike lover. She averages 120 miles a week in the saddle, commutes by bike to her job at BikeTiresDirect, spent two years as a bike messenger in San Francisco, participated in the first ever Critical Mass ride in 1992, operates a bike-centric blog and has a grandfather who traded his car for a bike in 1942. 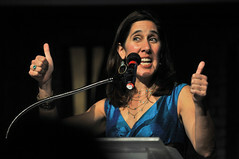 What makes the 45-year old Schur stand out from her Rose City peers is her position as president of the 500-member Vancouver Bike Club (VBC), Clark County’s oldest and most active cycling organization. The City of Vancouver has awarded a $70,000 contract to Alta Planning and Design to promote biking, walking, ride-sharing and transit into downtown Vancouver. The project is set to officially roll out in January. Author and CEO Mia Birk presented her book, Joy Ride, to the Vancouver Bicycle Club (VBC) on Wednesday at the new downtown Vancouver library. 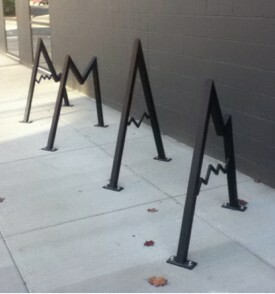 Vancouver’s first ever art racks. In the latest act of Portland’s bike love spreading to Vancouver, a Portland resident is opening Clark County’s first fully dedicated climbing center in downtown Vancouver, complete with Vancouver’s first artistic bicycle rack (a.k.a. “art racks“). the little guy should wear one. After reading about the helmet survey launched by the Bicycle Transportation Alliance last week, I wanted to share a cautionary tale about helmet laws. 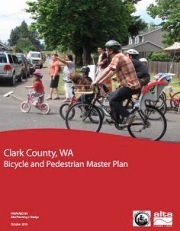 I live in Vancouver, Washington where we’ve been living with a mandatory, all-ages helmet law since 2008. If you’re of the persuasion that mandatory helmet laws are a good thing, keep in mind that not all mandatory helmet laws are created equal and — as Vancouver is finding out with its 2008 ordinance — subtle wording can have a profound effect on the scope of the law. 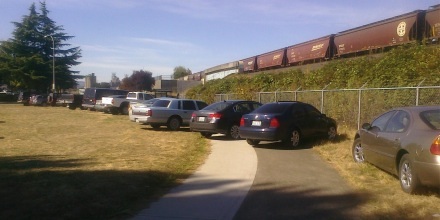 View of biking and walking path to I-5 bridge. 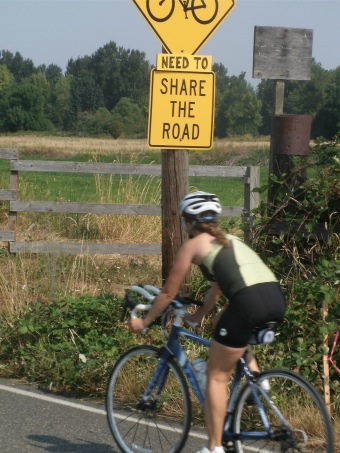 This sign was posted on NW Lower River Road in Vancouver. It has since been removed. 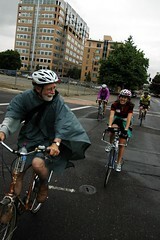 The greater Portland metropolitan area is one step closer to having another regional non-profit bike education and advocacy organization. 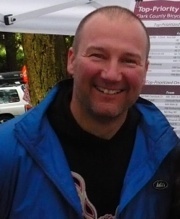 The necessary paperwork to receive official non-profit status for the Clark County Cycling Coalition (C-4), southwest Washington’s newest bike organization, is complete and ready to be mailed, according to C-4 president Eric Giacchino.